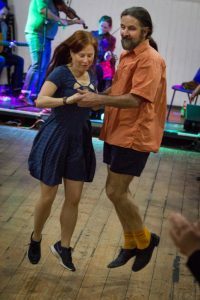 Judy Oleinikov, QuasiTrad contradance organiser. 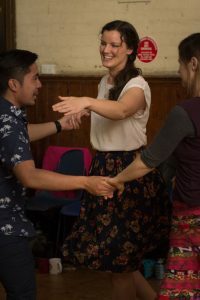 Here’s an excerpt from the Community Music Victoria blog written by Deb Carveth, the online editor for Community Music Victoria. 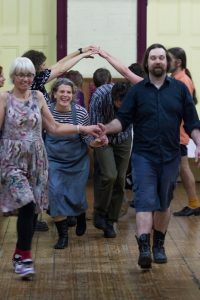 Deb was intrigued by the new form of social dance – contradance – that’s attracting fans here in Australia, and has written this article to highlight the annual QuasiTrad contradance coming up on November 5, 2018. 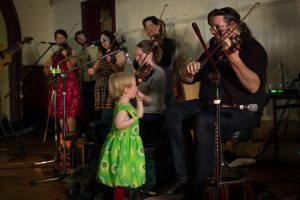 You can read the full article on the Community Music Victoria website. Many thanks, Deb! 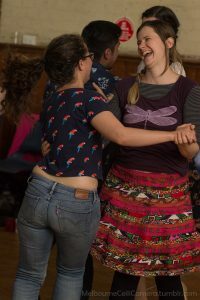 The 2018 QuasiTrad Contradance will donate all proceeds to Community Music Victoria, a not-for-profit organisation that works tirelessly to promote community music-making across Victoria.